The next morning, after a GREAT day traipsing all over Dublin and Kilmainham Gaol, we woke up by 5 to walk to the Old Church by Trinity College to catch our bus to Northern Ireland. We didn’t even have time to get coffee… womp womp. 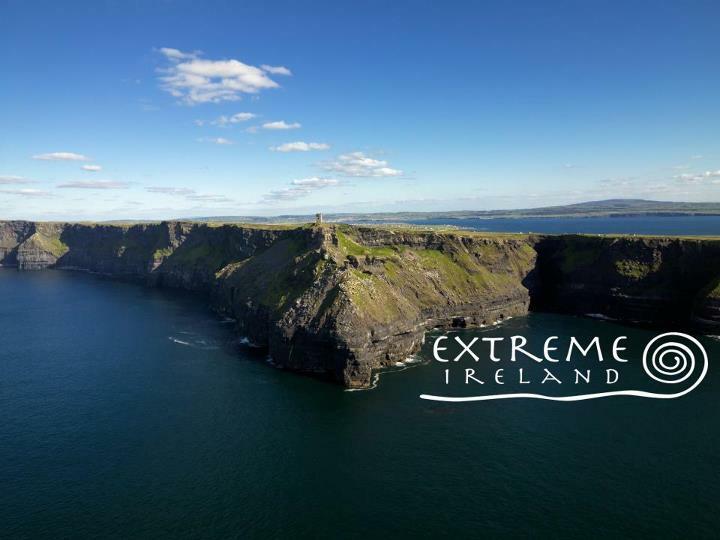 We booked this trip through Extreme Ireland after extensive investigation of itineraries to make sure we got to see all we wanted to. Charles wanted to see the rope bridge at Carrick-a-rede and the Giant’s Causeway, I wanted to see a castle, and I wanted to learn a little more about Belfast. 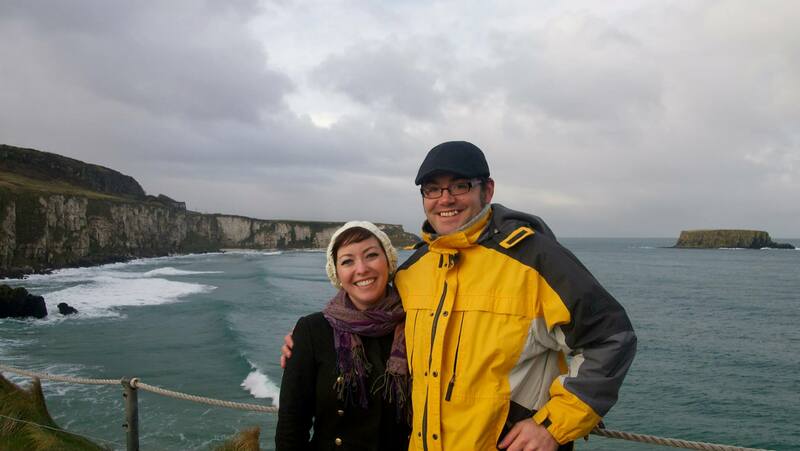 Extreme Ireland’s Giant’s Causeway Tour was the perfect one! Our tour guide, Wayne was entertaining, informative, and such a nice and funny guy (Hi, Wayne!). Our tour was an interesting mix of a lot of Americans (Can you really see the Statue of Liberty from Galway? NO. ), and some Brits on holiday from London (which made for interesting commentary in Northern Ireland by our Irish guide). Since we left so early, Wayne gave us a little time to be quiet and sleep since it was still dark out on the highway. We first stopped at a gas station for breakfast and coffees, which was a welcome stop. Then Wayne gave us the business about Irish History, Northern Ireland, and ALL KINDS of interesting information. He told us all about the Trouble, Ulster Plantation, Michael Collins, the IRA and UDA, and so much more. 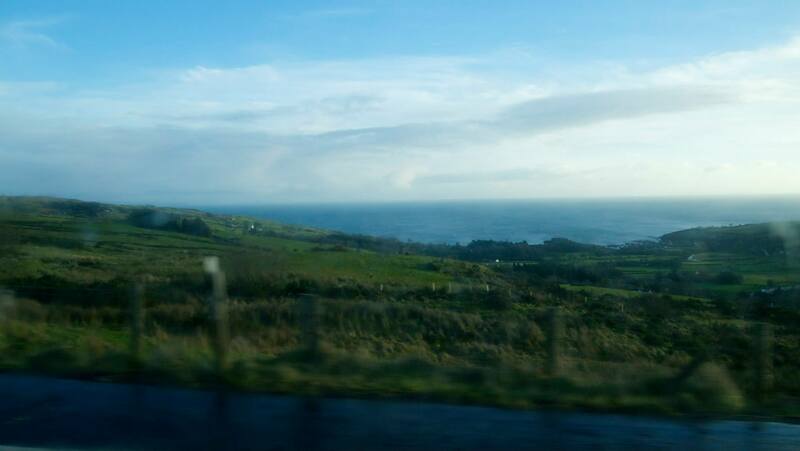 We went up the Antrim Coast through the glens and valleys. The coast was gorgeous, and we saw several rainbows even Scotland from across the sea. All of the views along the way were beautiful, there were green hills and small villages along the way. Wayne explained a lot about the English/Irish conflicts as we drove along, which helped a lot once we got to Belfast as our last stop. Our next stop was the National Trust site, Carrick-a-Rede rope bridge. The bridge has been around, in some form or another for at least 300 years. Salmon fishermen built the bridge to get across the gorge onto the smaller islands. It hangs 98 feet over the rocks and spans 66 feet. 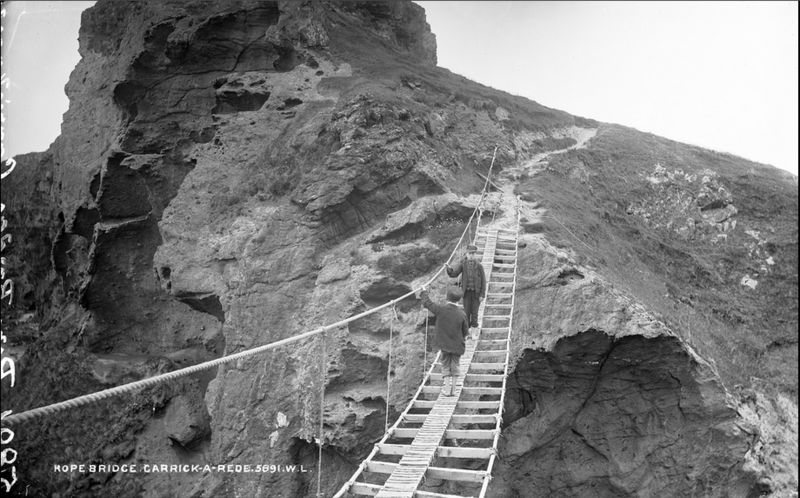 Until the 1970s, the bridge had only one handrail and huge gaps between slats as seen in the picture to the left. That picture (c. 1890s) comes from The National Library of Ireland on The Commons Flickr account, which has a multitude of amazing historic photographs from Irish history. Beware – if you’re into that kind of thing, it can be addictive! 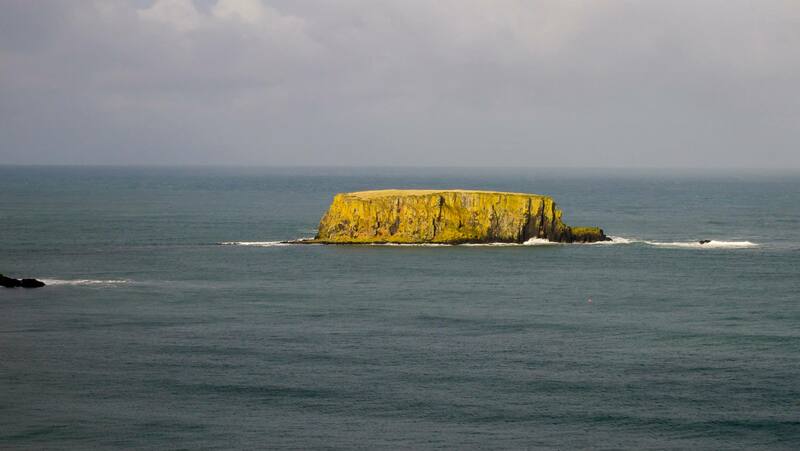 The hike along the coast to the bridge affords the opportunity to see some amazing sights – Sheep Island, Rathlin Island, the sea, cows, rainbows – it has everything! Once we got to the bridge, we found that the steps leading down to the bridge were more harrowing than the bridge itself! We made it across to the other side, had a look around, and started our journey back. 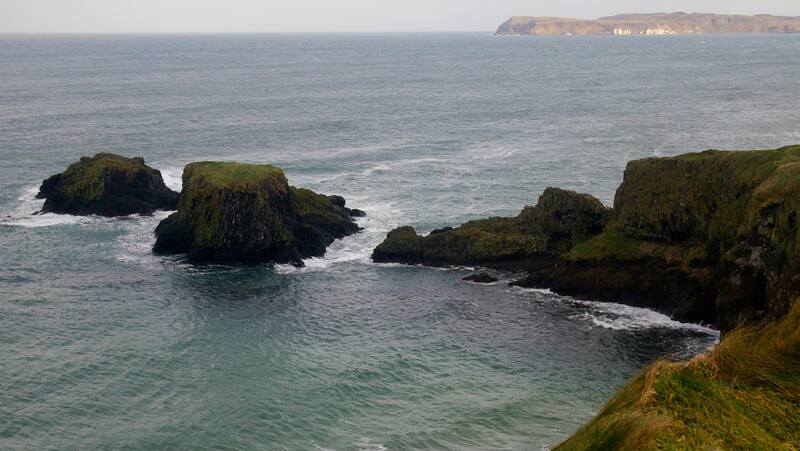 Across the sea from the bridge, you can see Rathlin Island in the distance. The island has a really interesting history of murder and pillaging dating back over 1,000 years. The first Viking raid in Ireland took place on Rathlin Island in 795; in typical fasion, they burned the church and other buildings before continuing south along the coast to pillage more. In 1575, refugees from the Clan MacDonnel, mostly women and children, were massacred by mercenaries sent by the Earl of Essex. Less than 100 years later, women were thrown off cliffs to the rocks below by the English. Today there are only around 100 residents on the island, and the island has an inn for around 30 overnight guests. A ferry takes visitors to the island, where they can view many types of sea birds and scuba dive to the many shipwrecks around the island. We walked back towards the shop after crossing the bridge, where we warmed up from the chilly winds. Soon it was time to board the buss again to head towards the Giant’s Causeway. We stopped at Whitepark Bay along the way, then we continued on to a small restaurant where I had Irish stew and Charles enjoyed some seafood chowder. 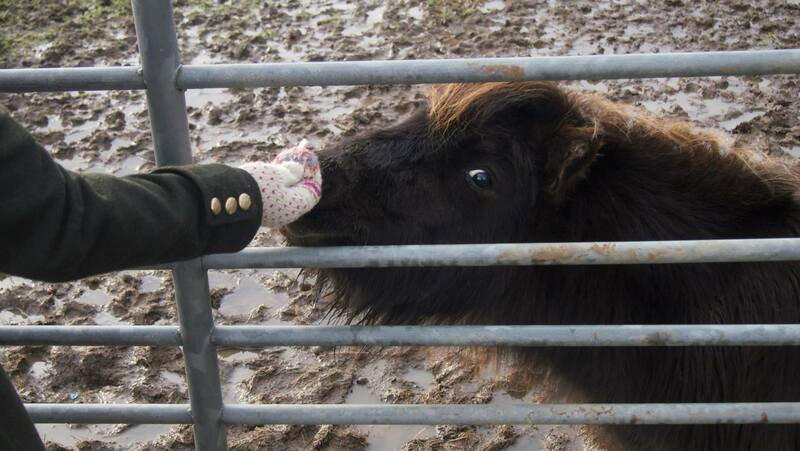 Outside of the cafe, there were these darling ponies – Wayne called them leprechaun ponies. They were so sweet, and gave a great side-eye as witnessed in this photo.